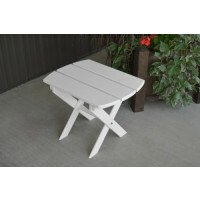 Free Shipping in Continental USA on all our Amish Furniture! E-mail us for Alaska, Hawaii & International Rates Furniture must be shipped separately. Handcrafted by our Amish friends in Pennsylvania, the A & L Furniture Folding Oval Yellow Pine End Table features superior quality and durability to last a lifetime. 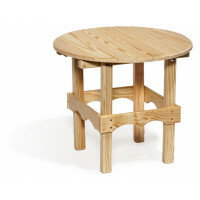 The yellow pine used for this Folding Oval Yellow Pine End Table is knot-free and sanded for a smooth comfortable feel. You may choose unfinished, stained or painted. We use NaturalKote soy based wood stain. Our NaturalKote stains are made of a super weather-resistant soy-based stain that will preserve and protect your table from harsh weather and sun exposure. Our 100% acrylic paint resists peeling and flaking by "breathing" to let damaging moisture escape. 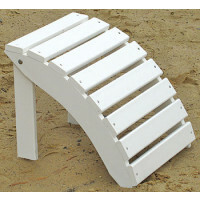 Each painted piece is hand-sanded and double dipped to ensure a smooth finish. 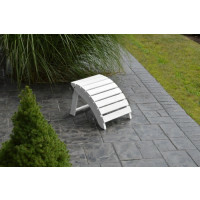 This outdoor furniture line offers a zinc-plated hardware that ensures long lasting durability. The tables have a classic design that is both functional and appealing to the eye. Although durable, the Folding Oval Yellow Pine End Tables are a great option for covered or semi-covered porches and patios. 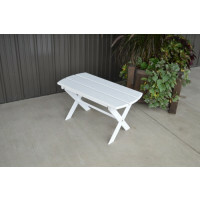 Create your own backyard oasis with our beautiful Amish hand-crafted garden classics collection. 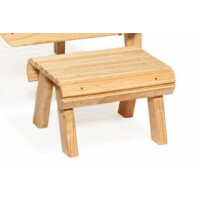 This furniture line is built from the finest quality western red cedar. 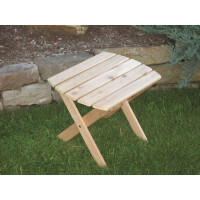 Western Red Cedar fibers contain oils that act as natural preservatives to help the wood resist rot and decay making it an excellent choice for outdoor furniture. It's a lightweight and dimensionally stable wood that resists the natural tendency to check and crack like many other species. 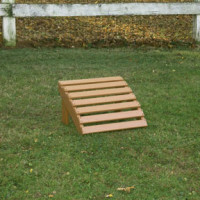 Available unfinished, or add your choice of 8 different stain colors. Our stained pieces are stained with Natural-Kote™ a soy-based wood stain that will rejuvenate, preserve and protect your furniture. Our stain is penetrating, non film forming and has a long lasting UV protection. Take a break, sit down, and relax, it's that easy to choose your style, your size, your color and enjoy many long afternoons escaping from reality. FREE SHIPPING In the Continental USA. E-mail us for Alaska, Hawaii & International Rates. Partial Assembly Required - Click here for instructions. 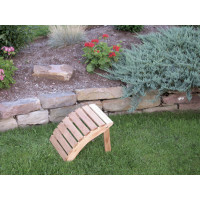 Handcrafted by our Amish friends in Pennsylvania, the A & L Furniture Kennebunkport Yellow Pine Adirondack Chair features superior quality and durability to last a lifetime. 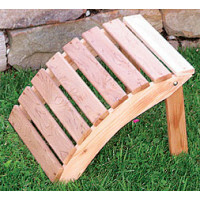 The yellow pine used for this Adirondack Chair is knot-free and sanded for a smooth comfortable feel. You may choose unfinished, stained or painted. We use NaturalKote soy based wood stain. 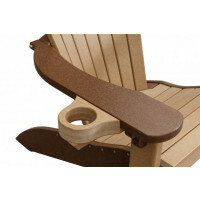 Our NaturalKote stains are made of a super weather-resistant soy-based stain that will preserve and protect your Adirondack Chair from harsh weather and sun exposure. Our 100% acrylic paint resists peeling and flaking by "breathing" to let damaging moisture escape. Each painted piece is hand-sanded and double dipped to ensure a smooth finish. 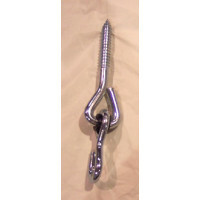 This outdoor furniture line offers a zinc-plated hardware that ensures long lasting durability. 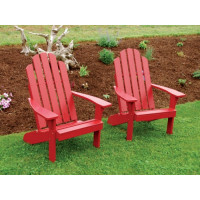 The Adirondack Chairs have a classic design that is both functional and appealing to the eye. 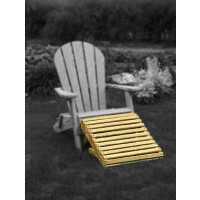 Although durable, the Yellow Pine Adirondack Chair are a great option for covered or semi-covered porches and patios. 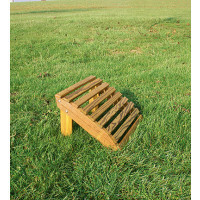 *Cushions are optional and sold separately under A & L Furniture Cushions. 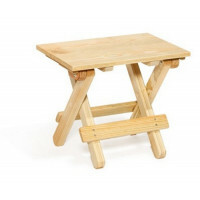 Handcrafted by our Amish friends in Pennsylvania, the A & L Furniture Folding Coffee Yellow Pine Table features superior quality and durability to last a lifetime. 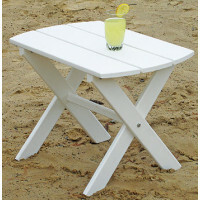 The yellow pine used for this Folding Coffee Yellow Pine Table is knot-free and sanded for a smooth comfortable feel. You may choose unfinished, stained or painted. We use NaturalKote soy based wood stain. Our NaturalKote stains are made of a super weather-resistant soy-based stain that will preserve and protect your table from harsh weather and sun exposure. Our 100% acrylic paint resists peeling and flaking by "breathing" to let damaging moisture escape. Each painted piece is hand-sanded and double dipped to ensure a smooth finish. 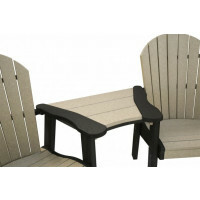 This outdoor furniture line offers a zinc-plated hardware that ensures long lasting durability. The tables have a classic design that is both functional and appealing to the eye. 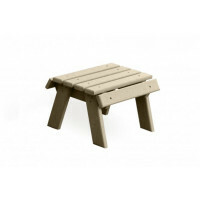 Although durable, the Folding Coffee Yellow Pine Tables are a great option for covered or semi-covered porches and patios.